MONTREAL, QUEBEC—The Plastics Industry Association (PLASTICS), the Canadian Plastics Industry Association (CPIA) and the Asociación Nacional de Industrias del Plástico A.C. (ANIPAC) concluded a meeting in Montreal today where the three major North American plastics trade associations called on trade negotiators to provide the business community with some certainty regarding their efforts to strengthen the North American Free Trade Agreement (NAFTA). The three organizations also reiterated their support for continuing and strengthening NAFTA, which they argue has the potential to become even more beneficial to each member country’s economy with the right adjustments. PLASTICS, CPIA and ANIPAC continue to work together with their industry partners to support NAFTA and its successful renegotiation. Since 1943, the Canadian Plastics Industry Association has proudly served as the national voice and leader for plastics industry sustainability across Canada, representing the interests of the plastics value chain including resin and raw material suppliers, processors/converters, equipment suppliers, recyclers and brand owners. 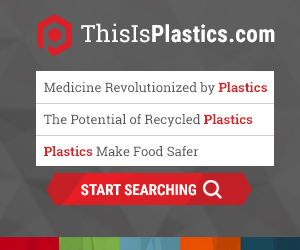 Visit //www.plastics.ca/ for more information. ANIPAC is the voice of the plastics industry in Mexico. Since 1961, ANIPAC has been the most important organization in the sector representing the entire supply chain including producers and distributors of raw materials, recyclers, manufacturers and distributors of machinery and equipment, and transformers of plastic in all its forms. ANIPAC’s mission is to promote the comprehensive development of the plastics production chain, generating benefits for its members and ensuring their global competitiveness.